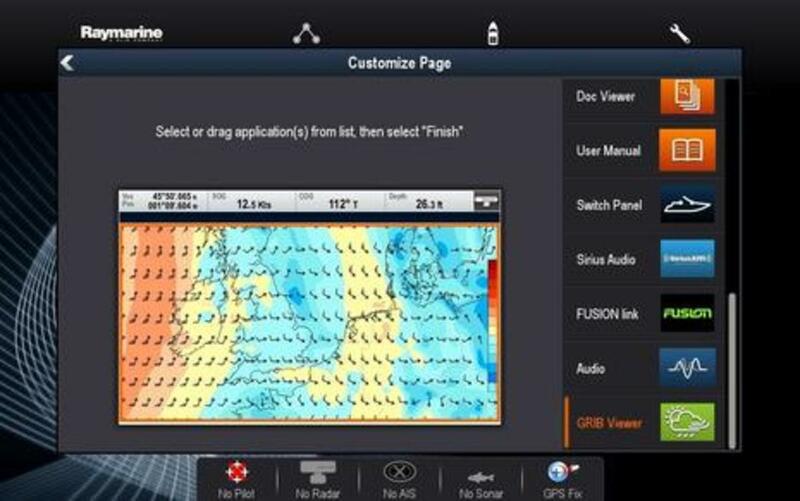 If you have a Raymarine a, c, e, eS or gS Series MFD, you recently got an astonishing array of free new features thanks to the just announced and available LightHouse Release 17 software update. In fact, I got the chance to try an early version of R17 on my boat Journey and have so much to report that I&apos;ll divide it over two entries. 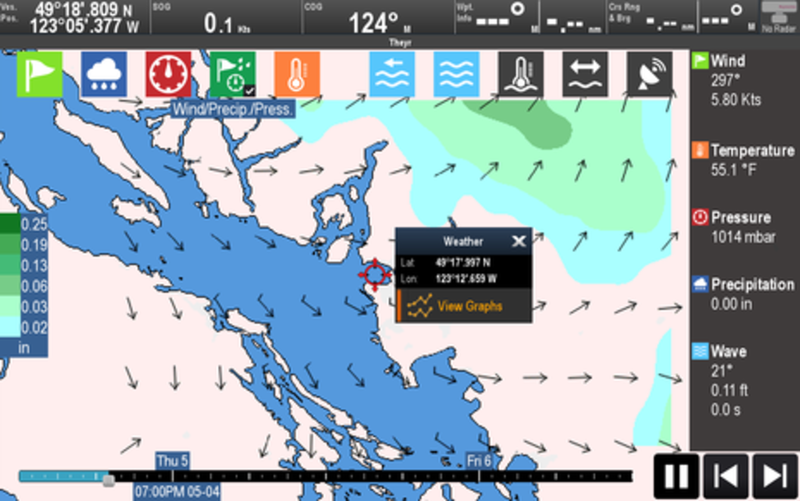 In part 1, we&apos;ll look at R17&apos;s new full-featured weather display capabilities, as well as some advanced chart and waypoint enhancements, plus the unique WiFi capabilities that Ray has introduced over recent LightHouse releases. 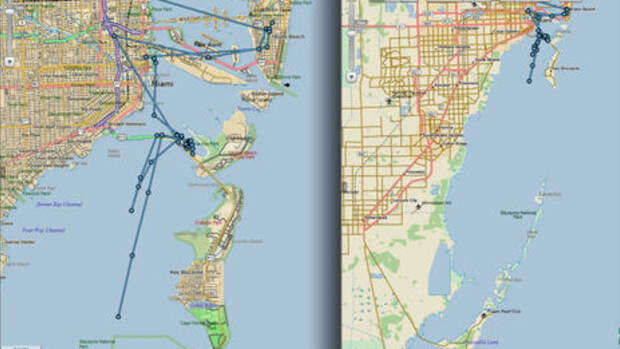 In part 2, I&apos;ll share my adventures with the first MFD implementation of Navionics SonarChart Live and Dock-to-dock Autorouting, and there&apos;s even more to milestone Release 17. 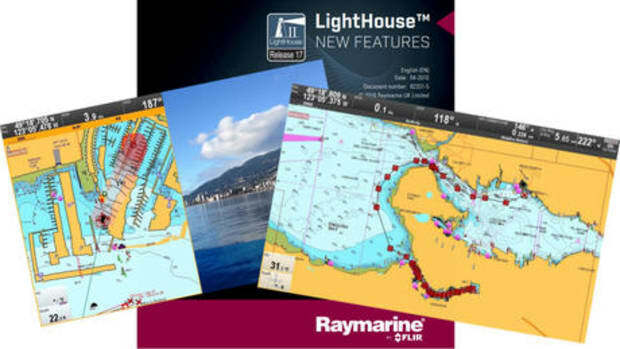 Lots of new feature information, a PDF handbook, and a link to the large R17 download are all available on the Lighthouse II page.The folks at Raymarine have been improving their MFD software at breakneck speed with R17 the third public release since January. R16 v16.47 was just delivered in late March to add Quantum solid-state radar support, new search and rescue patterns, and other improvements. 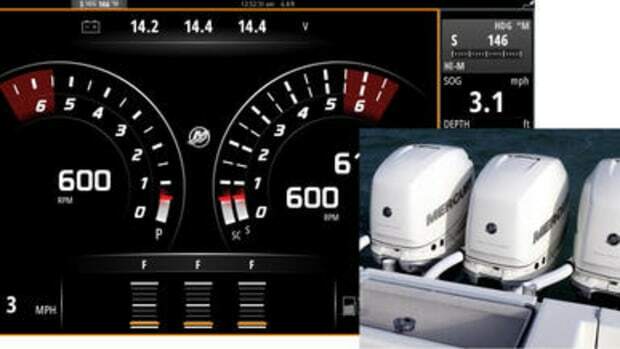 In fact, if your boat is still on the hard after a long winter your Ray MFDs are probably running v15.59, which added the new AIS collision avoidance features Panbo explored. Note that the decimal part of the release number is an indication of how many versions are tested before a new whole number release goes public. For instance, I&apos;ve been testing beta version LightHouse v17.34 for about two weeks, but today&apos;s release is v17.45. 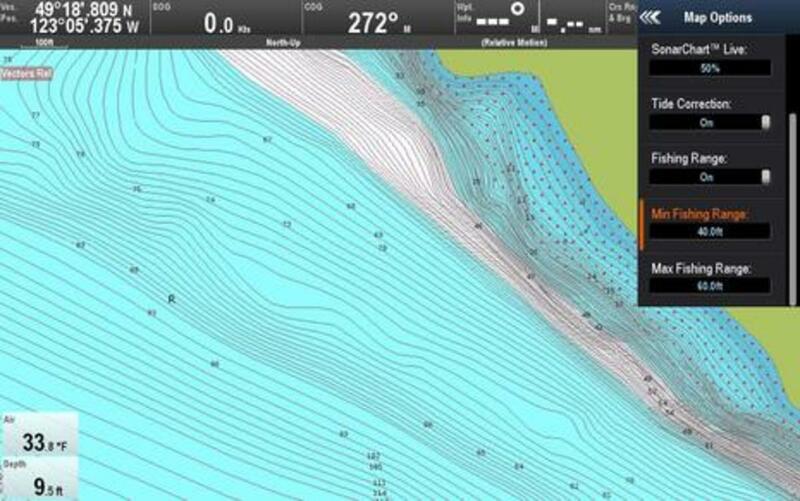 You should have seen the smile on my face when Raymarine product manager Mark Garland walked Ben and I through an online Powerpoint of all the new features in mid April. 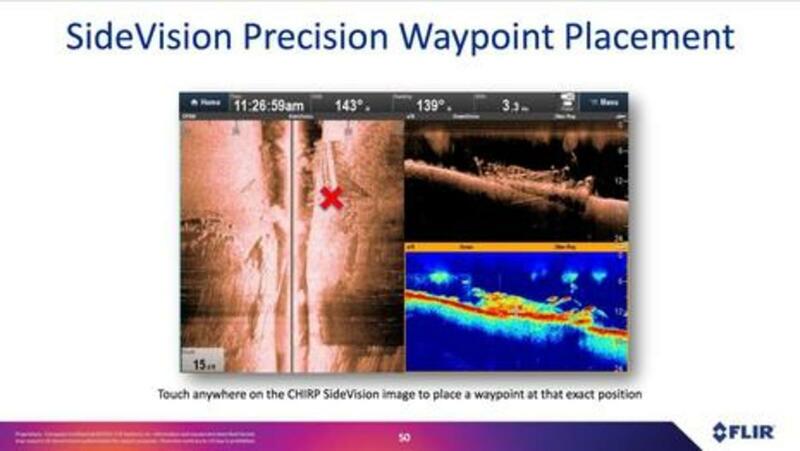 The "touch anywhere" SideVision waypoint placement feature (above) was "near the bottom" of Ray&apos;s whopping 54-slide r17 presentation. 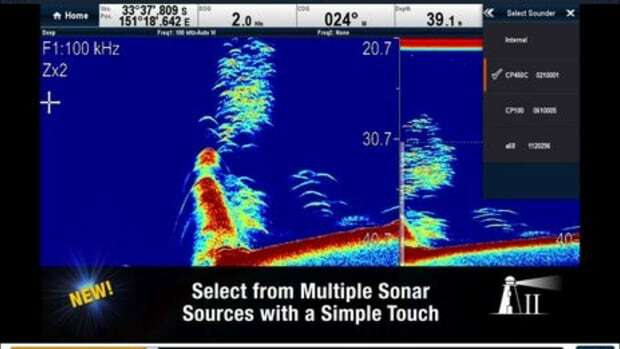 (I couldn&apos;t test this feature -- which is a catch up with Garmin, Navico, and Humminbird side imaging -- but Ben says he saw it work well on his fishing trip to Marco Island.) Perhaps the biggest surprise was a flexible new weather viewer. 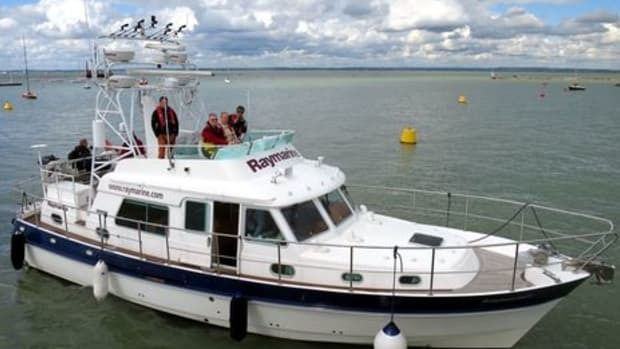 That&apos;s my Raymarine c125 on a docked Journey&apos;s flybridge showing LightHouse R17&apos;s new weather app in action (photoshopped for clarity). The green icon that launches the app had to be added to my home screen (via the Customize menu), but that may be changed in the finished release. Once tapped, you&apos;ll have a GRIB (Gridded Binary) weather data viewer that can use any source&apos;s GRIB files that you bring to the MFD on an SD card or it can access weather forecasts from Theyr.com that you can get instantly if the MFD is online (and that you can also download for higher resolution and later use). Having access to Theyr data on an MFD can be thought of as an alternative to the Sirius Satellite Marine Weather that has long been available on LightHouse displays and costs $13, $30, or $55 per month depending on your selection of data packages. You may not know of UK-based Theyr, but they offer worldwide forecasting derived from various models like GFS and NMM. Here&apos;s Theyr&apos;s global coverage map with the resolution, forecast length and frequency of updates. North America has coverage to 4km resolution with four-day forecasts and hourly updates. 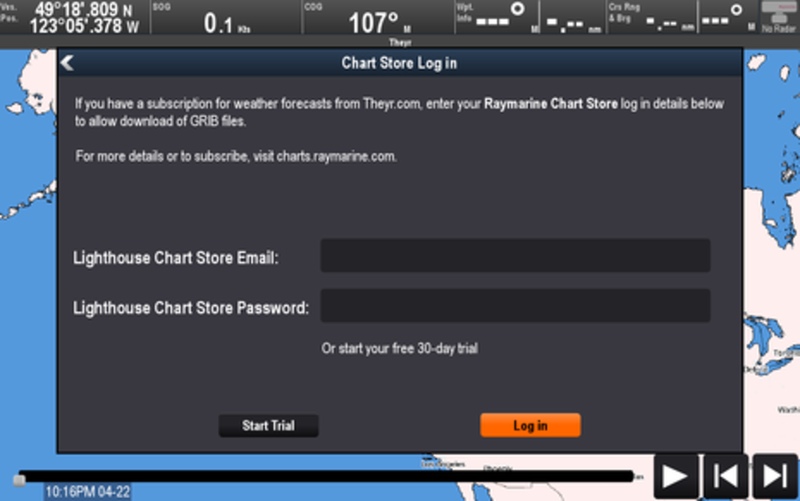 Theyr also offers an iPad app, which is included in a Ray MFD subscription made through the LightHouse Store. With no Sirius hardware to buy, $15 per month or $99 per year seems very reasonable to have the convenience of U.S. NEXRAD and Theyr worldwide GRIB forecasts conveniently viewable on a nice bright helm display. The screenshot above is the Theyr GRIBview iPad app pricing options if you buy direct from Theyr. 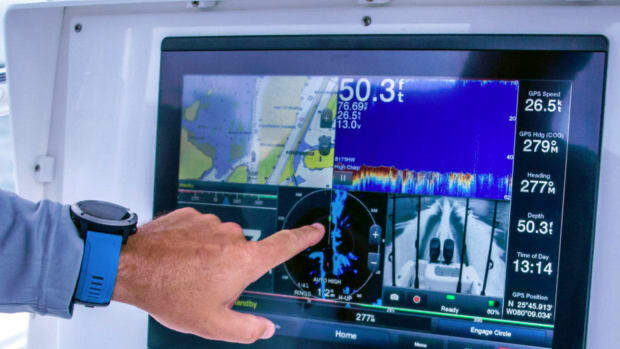 Bottom line, you pay $20 less per month for "super-high-resolution" data including NEXRAD by subscribing through Raymarine. Ray/Theyr are offering a free 30 day trial just by choosing "Start Trial" on the MFD&apos;s Chart Store login screen, and that&apos;s what I tried. Once logged in you have two ways to fetch weather data and they have different retention implications. 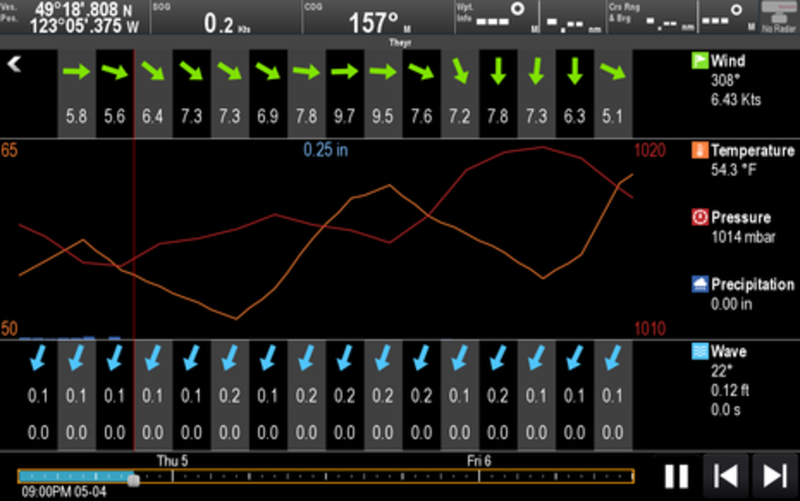 The first is to simply select/touch one of the data type icons at the top of the screen -- like the green flag for wind -- and the data will be instantly fetched. This data lives for 12 hours and writes to a hidden cached file, used for quick access and when you don&apos;t need the data later. If you exit the viewer app and launch another one, the data will be erased. 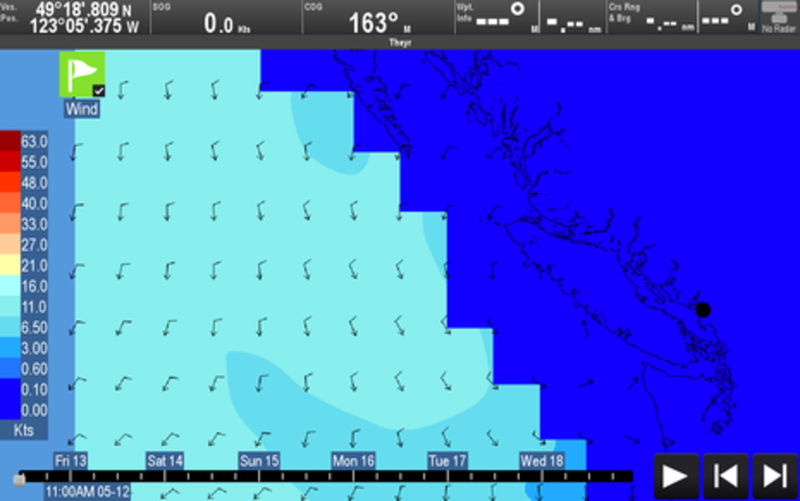 To save a GRIB forecast for future offline viewing, you select download in the right menu bar. 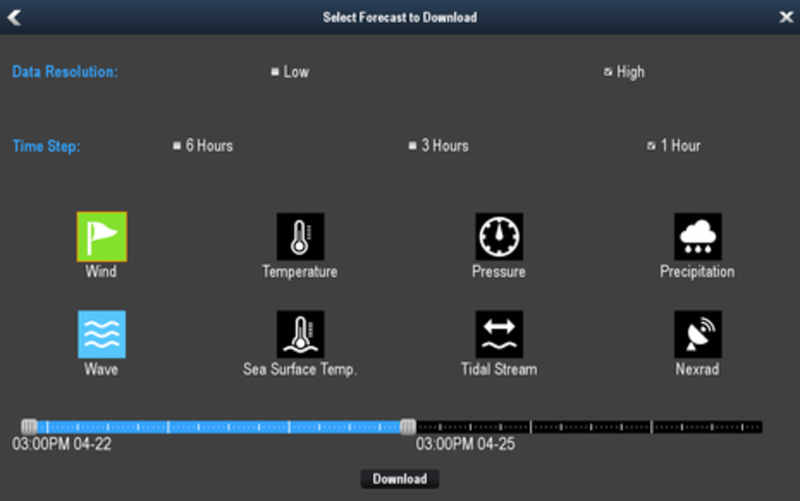 The forecast download screen shows the types of data available but note that "Tidal Stream" is presently only for Northwest Europe. It&apos;s nice to have some granular control over the resolution and frequency of data along with a slider to control the forecast duration, because the download file sizes are dependent on those selections plus how much of the base map you&apos;ve zoomed into. NEXRAD files can be particularly large, with one I fetched for the entire US/Canada west coast weiging in at just over 26MB. Here are GRIB file sizes for a two day detailed forecast with hourly time steps. Kudos to Theyr for the relatively small sizes (0.1 to 0.2 MB). Underneath you&apos;ll see GRIB files from two other free sources -- Global Marine Networks & GRIB.us -- that I added to my microSD card for testing. If you don&apos;t choose to subscribe to Theyr data you can still display GRIB 1 format files you load directly from SD card. Those are amazingly calm seas on the west coast of North America! 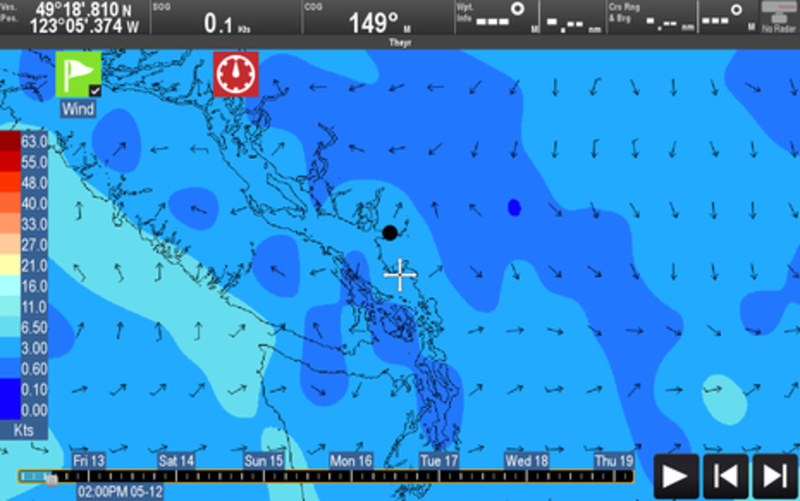 The info is not super useful for me but if you were doing the Vic-Maui yacht raceit might be. From the GRIB.us website..."The data being served here is from the US GFS global weather model. Its has a native resolution of 0.5 degrees and includes surface winds and barometric pressure. 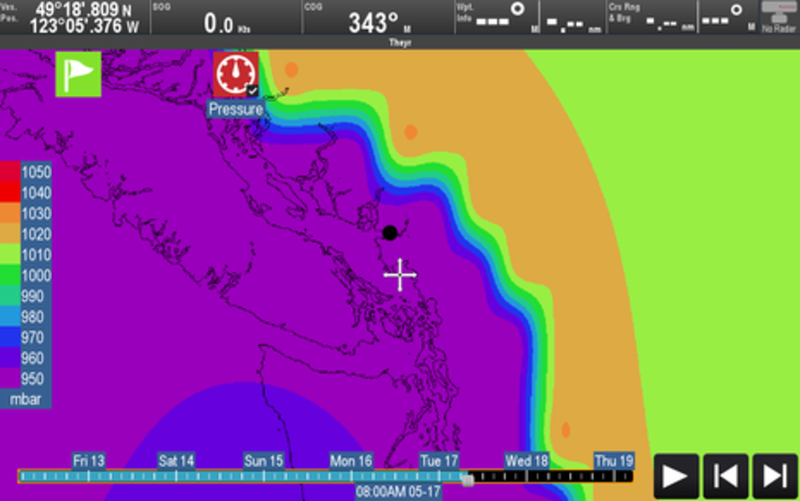 The forecast you get from the web page is a 7 day forecast with a 3 hour timestep." That purple low pressure area is headed this way but only shows briefly when I looked through the timesteps. 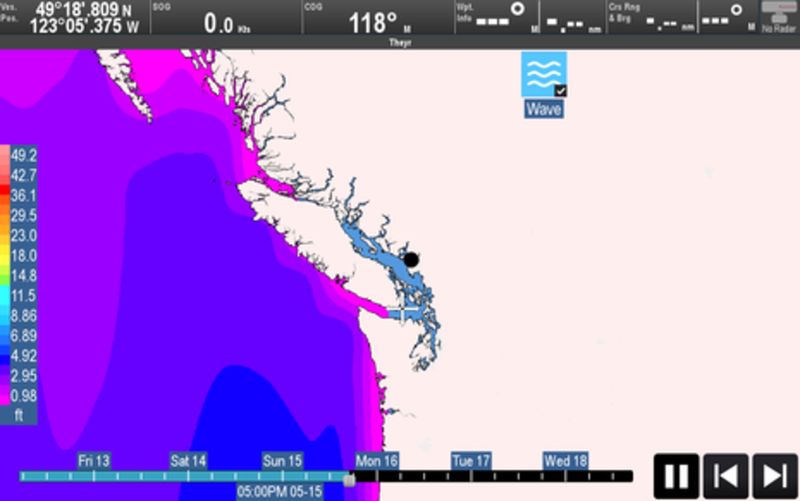 For my location it seems GRIB.us data is more useful than Global Marine because it covers the full coastline. It will take longer term testing to gauge the accuracy of the different free data sources but it&apos;s nice to see free GRIB files viewable on my MFD. I wasn&apos;t successful getting PredictWind files to display properly and guess that they aren&apos;t in the GRIB 1 format that Raymarine uses. Readers will no doubt try to display a variety of GRIB files, so please let us know your results. 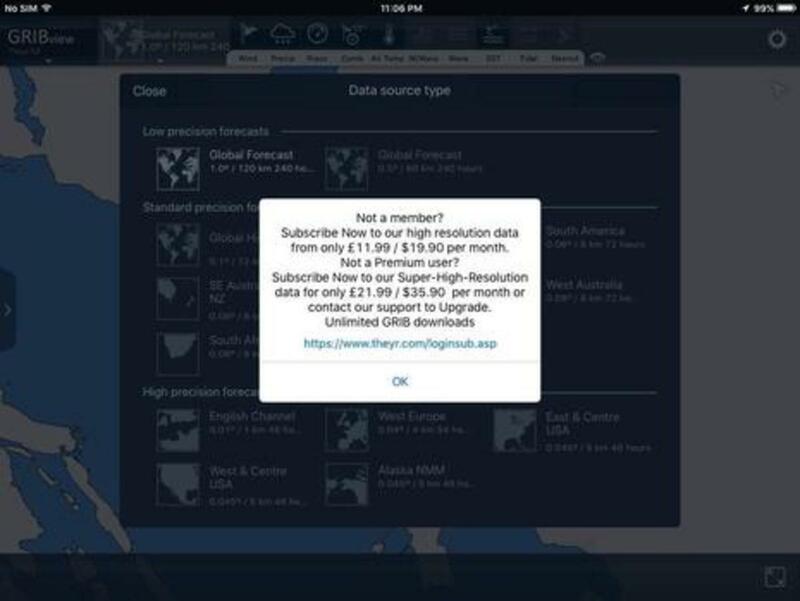 Other possible free sources are the NOAA Ocean Prediction Center and of course the SailDocs GRIB Service. In fact, I was pleasantly surprised to see that Theyr NEXRAD covers the lower portion of Canada&apos;s west coast as well. That&apos;s a rainy April Vancouver day and so I stayed tied to my dock. The horizontal line on the right side of the map shown in my animated GIF is the US/Canada border. The colored rainfall areas step in 10 minute increments up to one hour ahead (possibly changed to 4 hours in the public R17 release). Because my c125 is not a touch-screen I found that it takes some practice to work with the GRIB Viewer screen (as well as that slider on the data download page). For instance, as soon as you download data the screen starts animating and it isn&apos;t obvious that you need to activate the right menu bar to stop or control the animation. In my opinion non-touch capable MFDs would create a better user experience if they didn&apos;t animate by default. 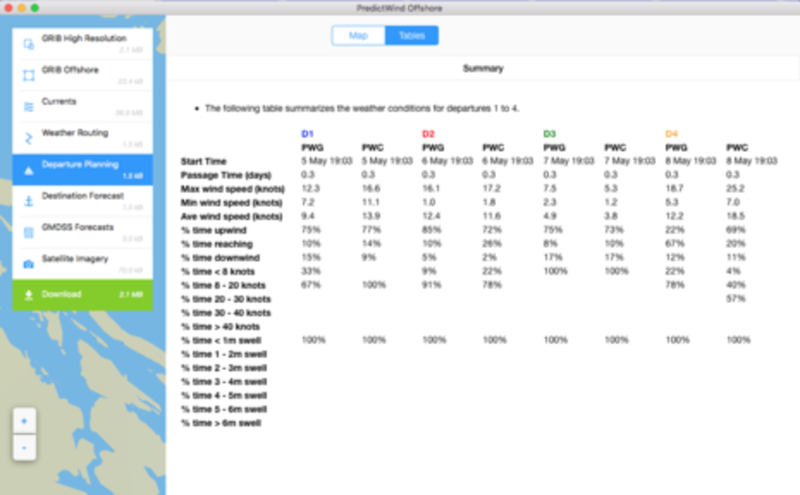 For future improvements I would love to see a departure planner like PredictWind offers (above) which compares conditions over four days based on criteria you set. 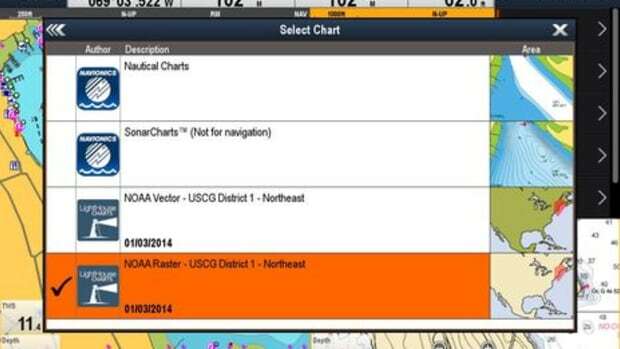 Note that Raymarine&apos;s PC Voyage Planner software will apparently also display Theyr data as part of your paid subscription. I could not make this software work on my new under-powered $180 Lenovo ideapad laptop (Windows 10, 2GB RAM), but it might with more memory. Finally, if you want to run the weather app on multiple networked MFDs you will need to download weather data individually on each display. The good news is that you can use the same account and don&apos;t need multiple subscriptions. 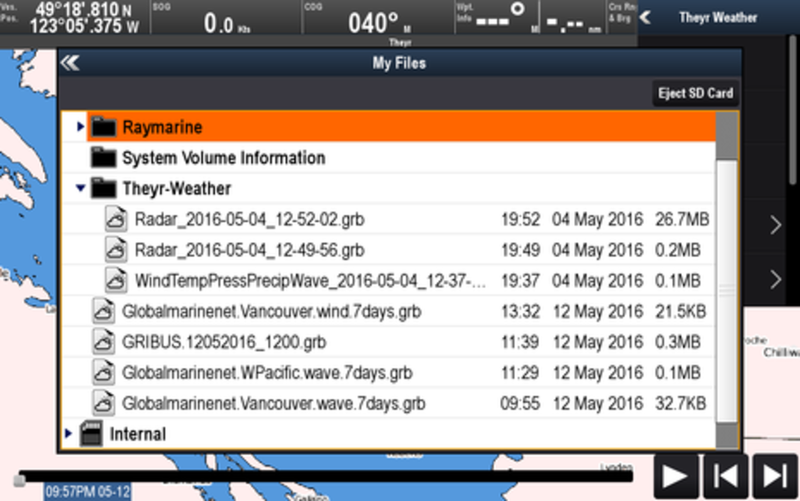 So how does a Raymarine MFD download Theyr weather data? 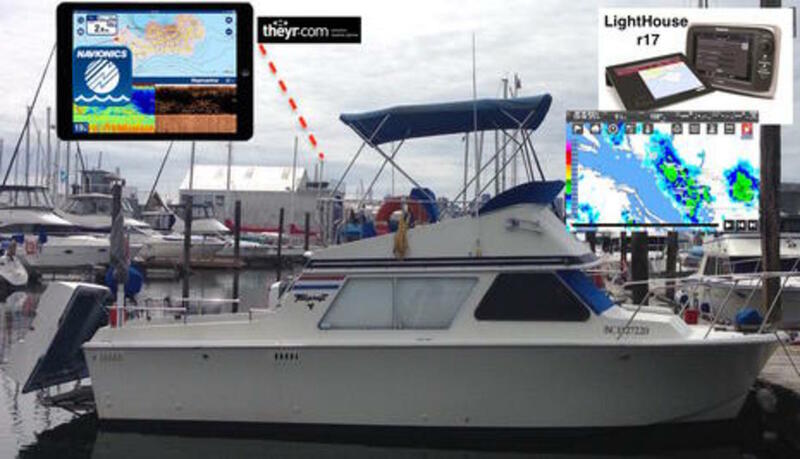 Starting with v15.59 update last September, LightHouse software got new WiFi capabilities that are critical to the Theyr services and also possibly important to boaters using Ray WiFi in other ways. Lighthouse MFDs can now go online and more. 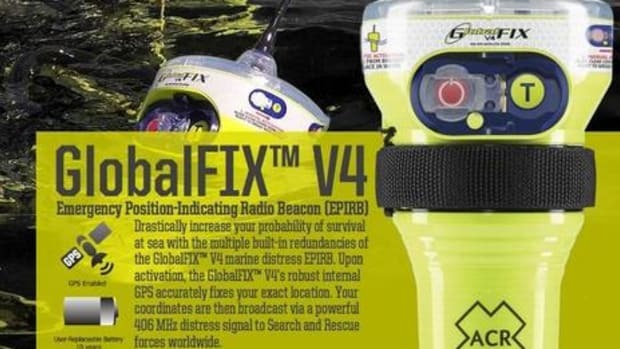 My first experience with it was connecting my c125 to my Mikrotik boat router (which I&apos;ve named "Panbo dot com" so that nearby boaters know where to find me). 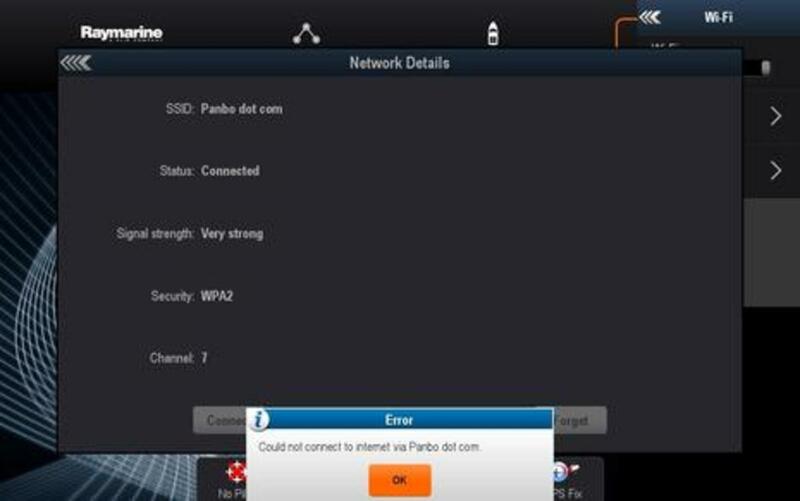 As you can see from the screenshot the router wasn&apos;t connected to the Internet at the time and it was nice that the MFD reminded me. 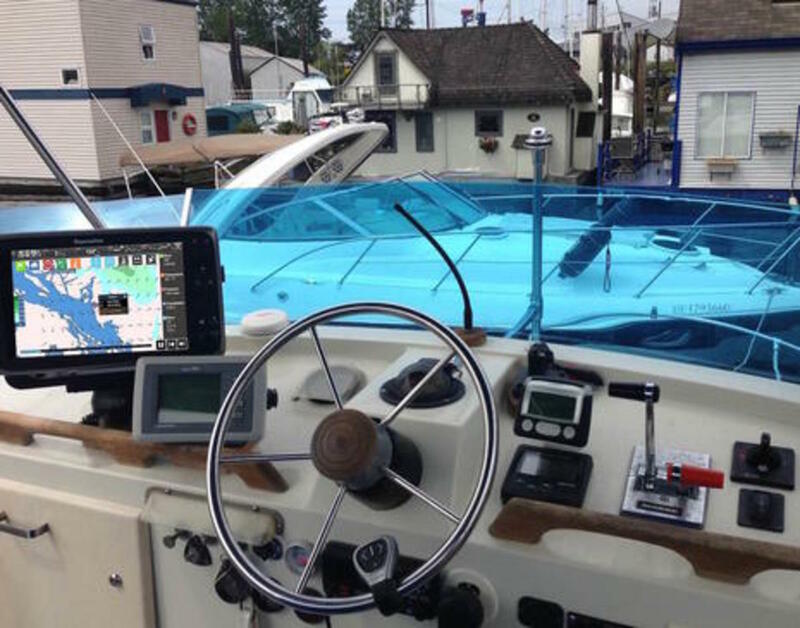 I often use the RayControl app on my iPad as an MFD at my lower helm or as a remote touchpad so I can sit in a more comfortable position at the upper helm. 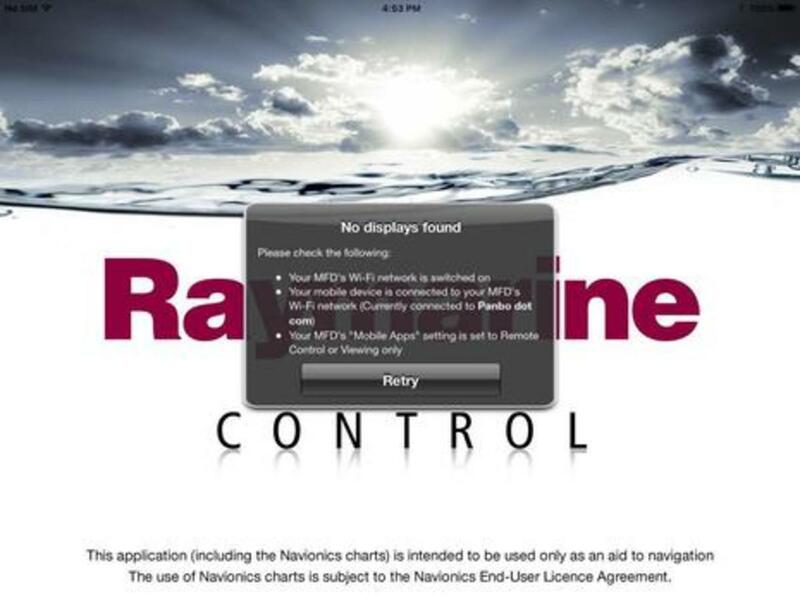 I was curious if RayControl would connect to the MFD through my WiFi router but it unfortunately doesn&apos;t. However, you can still use the Ray MFD as a WiFi access point for an iPad or similar device even while the MFD is online, and in fact your device will also be online via the MFD. In other words, the MFD is acting as both an access point and a client to another access point, which is useful (and currently unique among WiFi MFDs, we think). The new ability of LightHouse MFDs to both go online and be an access point may be best way to go. For instance, when my c125 could only be an access point, it was somewhat painful to use with my cellular-capable iPad. The iPad, like many no-so-smart phones, will disregard its cell connection when it&apos;s on WiFi because it presumes that the WiFi connects to the Internet. On the other hand, I had quieter afternoons with no iMessages or email. I&apos;ll end part 1 with a screenshot showing the customize page screen used to setup the GRIB Viewer. 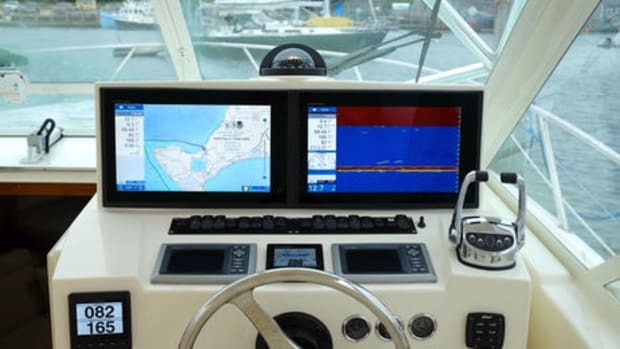 It also shows the new switch panel and audio apps I&apos;ll discuss in part 2 along with my testing of the first MFD implementations of Navionics Dock-to-Dock Autorouting and SonarChart Live. 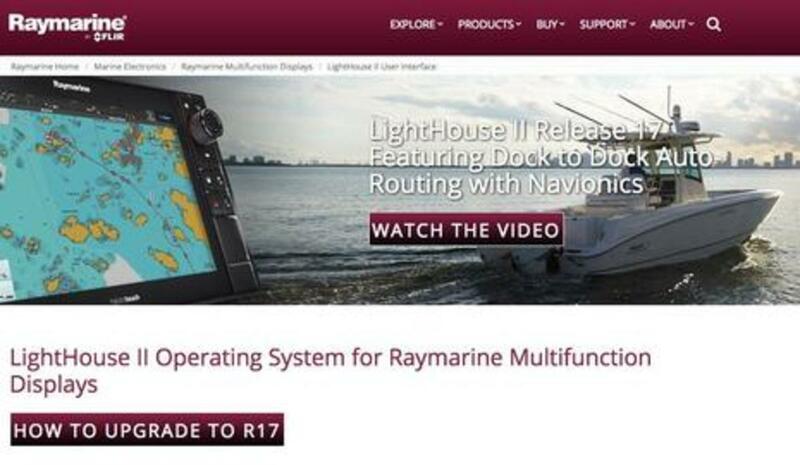 Raymarine&apos;s LightHouse R17 is a big release.